Choose from the criteria below to find an activity that fits you best. 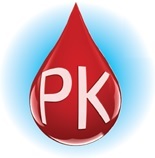 This activity will review the latest PK recommendations for Factor VIII and IX replacement and how to use and interpret PK parameters to assess treatment plans. Access your transcripts or view completed courses. Review the activity description and objectives. Complete the online post-test and activity evaluation. Note: If you attended the live CE activity AND received CE credit (i.e. a pharmacist CE statement of credit with ACPE UAN 0221-0000-18-385-L07-P), you are NOT allowed to also receive credit for this home-study on-demand web activity. Despite the attention brought to the safety of sterile compounded products by incidents such as the New England Compounding Center tragedy in 2012, there continues to be a disconnect between pharmacy practices and the potential for errors. The Institute for Safe Medication Practices (ISMP) has identified lack of standardization and variability in practice as two of the root causes of risk in compounding sterile preparations. Additionally, recent guidelines highlight the role that pharmacy leadership can take in ensuring medication safety in the health-system setting. This activity will provide pharmacists with an understanding of parameters to consider with IV compounding and their role in IV medication safety. Attendees will understand the impact of medication errors from the perspective of a healthcare provider. A discussion on options between internal compounding or outsourced compounded sterile products will provide clarification on the decision-making process. Pharmacists will be able to compare 503A with 503B facility requirements with a focus on regulatory changes affecting the facility types. Additional measures regarding USP <797> and USP <800> compliance will be discussed. Summarize the role of the pharmacy department in ensuring IV medication safety. 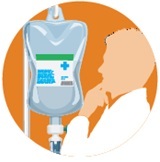 Describe the impact of IV compounding errors from the healthcare provider viewpoint. Identify guidelines, policies and safety initiatives intended to reduce errors in IV compounding. Compare 503A facility and 503B outsourcing facility requirements related to sterile compounding. Outline the impact regulatory changes, such as USP Chapter <797>, USP Chapter <800>, and FDA guidance documents for 503A and 503B facilities, may have on sterile compounding practices. ProCE, Inc. is accredited by the Accreditation Council for Pharmacy Education as a provider of continuing pharmacy education. ACPE Universal Activity Number 0221-0000-19-050-H07-P has been assigned to this home study knowledge-based activity (initial release date 1-18-19). This activity is approved for 1.5 contact hours (0.15 CEUs) in states that recognize ACPE providers. The activity is provided at no cost to participants. Participants must complete the online post-test and activity evaluation to receive pharmacy CE credit. Statements of completion will be issued online at www.ProCE.com and proof of completion will be posted in NABP CPE Monitor profiles. No partial credit will be given. It is the policy of ProCE, Inc. to ensure balance, independence, objectivity and scientific rigor in all of its continuing education activities. Faculty must disclose to participants any significant financial interest or affiliation with companies that manufacture or market products discussed during their presentation. Dr. Aramaki is a Speaker for the American College of Clinical Pharmacy (ACCP). Mr. Gillespie has no relevant commercial or financial relationships to disclose. Ms. Michalek has no relevant commercial or financial relationships to disclose. Dr. Roche has no relevant commercial or financial relationships to disclose. A portion of grant funds received by ProCE from PharMEDium Services, LLC will be used to compensate the faculty for this presentation. Please note: The opinions expressed in this activity should not be construed as those of the CE provider or PharMEDium Services, LLC. The information and views presented in this activity are those of the faculty through clinical practice and knowledge of the professional literature. Portions of this activity may include the use of drugs and/or devices for unlabeled indications, which should be considered experimental. Participants are advised to consult manufacturer product information and the professional literature, and use professional judgment in applying the presented information in patient-care activities. This activity is provided by ProCE, Inc. and is supported by an educational grant from PharMEDium Services, LLC.